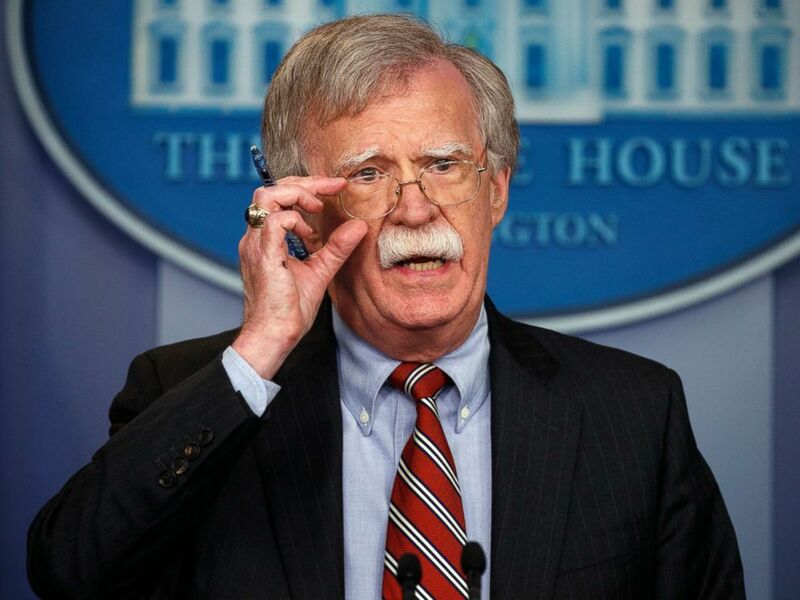 President Donald Trump's National Security Adviser John Bolton floated the possibility of reviewing longstanding policy of maintaining security clearances of former government officials. In the wake of Trump's revoking the clearance of former CIA Director John Brennan, Bolton told ABC News' “This Week” Co-Anchor and Global Affairs Correspondent Martha Raddatz in an exclusive interview Sunday that he doesn't see "anything wrong" with the possibility of reviewing whether former officials should have access to classified information. White House Press Secretary Sarah Sanders announced the president's decision to end Brennan’s access to classified information, reading a statement from Trump on Wednesday about "risks posed by [Brennan’s] erratic conduct and behavior." The president's move drew fire from 15 former top intelligence officials, including some who served under Republican presidents, who signed a letter asserting that Trump was using security clearances "as a political tool." 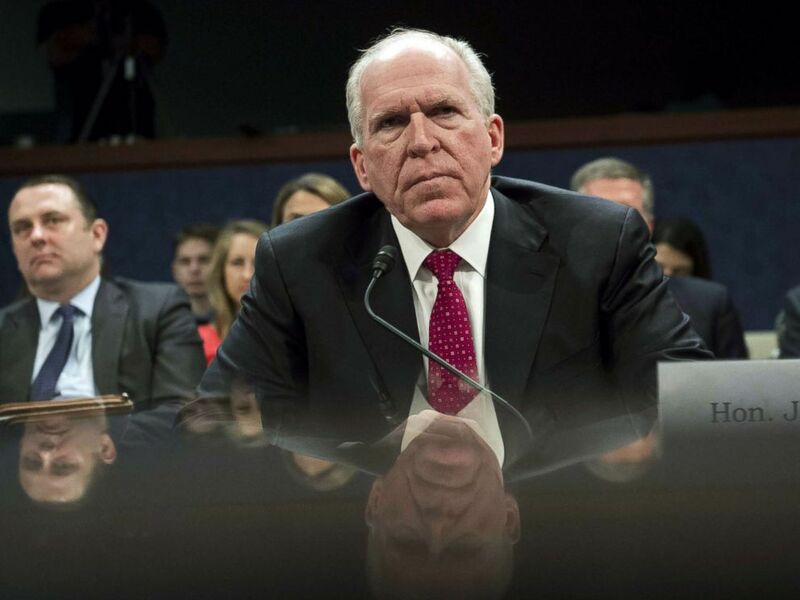 "Decisions on security clearances should be based on national security concerns and not political views,” they wrote in defense of Brennan, who headed the CIA under President Obama, and was national counterterrorism director under President George W. Bush. Raddatz on "This Week" asked Bolton, "Brennan has been a strong critic of the administration. But what does this have to do with protecting classified information?" Bolton said, "Career intelligence officials who come out of the government [need] to keep that wall of separation" between intelligence and politics, "and I don’t think Brennan has followed that and, you know, whether he actually used classified information, I think people will be able to determine. But I think that’s a serious problem." Former CIA Director John Brennan testifies during a House Permanent Select Committee on Intelligence hearing about Russian actions during the 2016 election on Capitol Hill in Washington, May 23, 2017. Raddatz asked if there were specific examples of Brennan politicizing classified intelligence in his criticism of Trump. "No," Bolton said, "but I think there is ... a line and somebody can cross it." "But let me be clear here," Raddatz said. "You’re not sure whether John Brennan used classified information? You have no specific examples." Bolton said, "I think a number of people have commented that [Brennan] couldn’t be in the position he’s in of criticizing President Trump and his so-called collusion with Russia unless he did use classified information. But I don’t know the specifics." He also said that he believes Brennan politicized his handling of national security issues while he was CIA chief under Obama. "It was my view at the time that he and others in the Obama administration were politicizing intelligence," Bolton said. "I think that’s a very dangerous thing to do. Bolton, who served as U.N. ambassador under President George W. Bush, was a Fox News contributor during Brennan’s tenure as CIA director. He said that in general it may be appropriate at times for former government officials to retain their clearances, citing his own time out of government as a member of a board of directors of a company that did classified work for the government. Bolton said that in general it may be appropriate at times for former government officials to retain their clearances, citing his own time out of government as a member of a board of directors of a company that did classified work for the government.